Linda Hans of Cal Hans Ford and John Schuldt, Ford Motor Co.'s Pittsburgh regional sales manager. 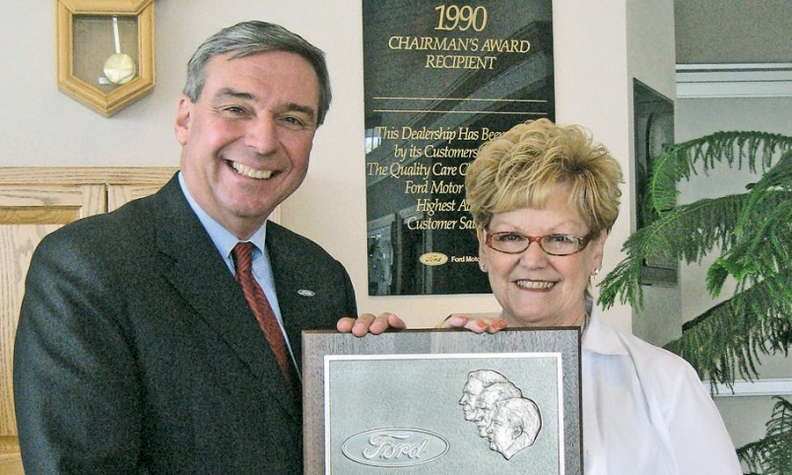 Linda Hans of Cal Hans Ford in Loudonville, Ohio, receives a 25-year award for Ford from John Schuldt, Ford Motor Co.'s Pittsburgh regional sales manager. Frank Leta, right, of Frank Leta Acura in St. Louis receives a 25-year award for Acura from Jeff Conrad, American Honda Motor Co. vice president in charge of Acura sales. 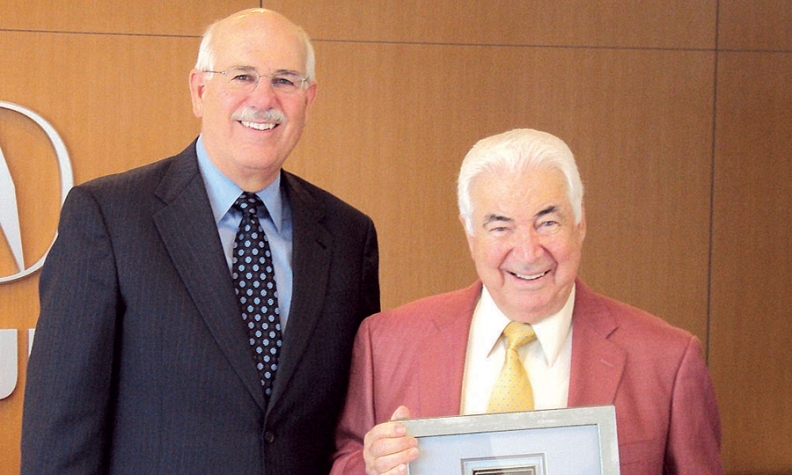 The owners of Soutars Chrysler-Jeep-Dodge-Ram in Barstow, Calif., receive a 50-year award for Chrysler and Dodge. 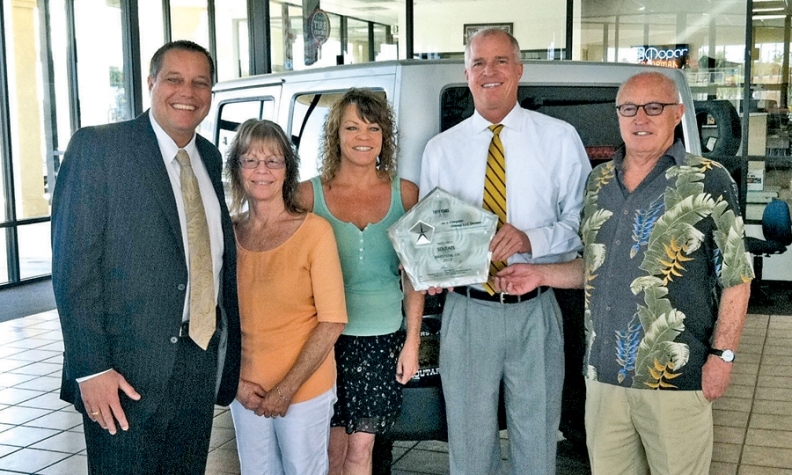 Pictured, from left, are Jeff Eschenbach, sales manager at Chrysler Group's California Business Center; and owners Nancy Soutar, Jill Jordan, Clint Soutar and George Soutar.